Buy the look on the left: Dress, $47.99 ; Shoes, $49.99 ; Clutch , $29.99 ; Rings, $4.80 ; Necklace, $10.50 ; Earrings, $38. Buy the look on the right: Dress, $37.99 ; Shoes, $89.99 ; Clutch , $29.99 ; Necklace , $10.99 ; Rings, $71.40 ; Earrings , $20. 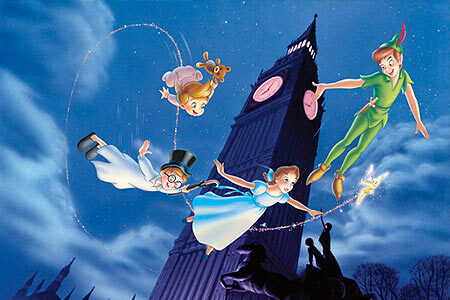 Outfits inspired by the flight scene of the Peter Pan movie!! 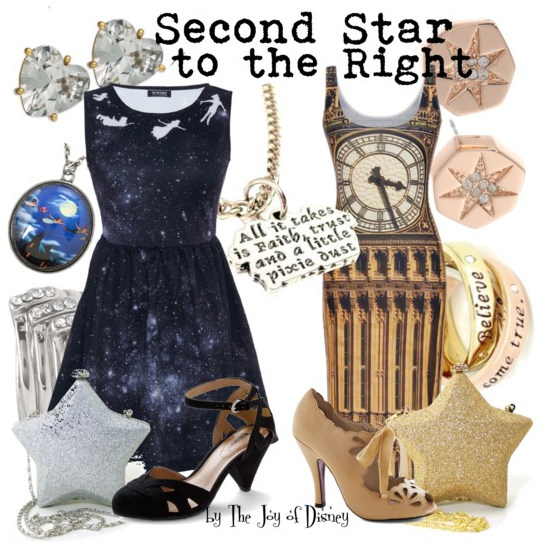 How adorable is that Peter Pan necklace (on the left)?!?! I couldn't resist and went ahead and bought it for myself, yippie!